You are looking for a something special for your loved ones. And who is very close to your heart then you are on a right path. 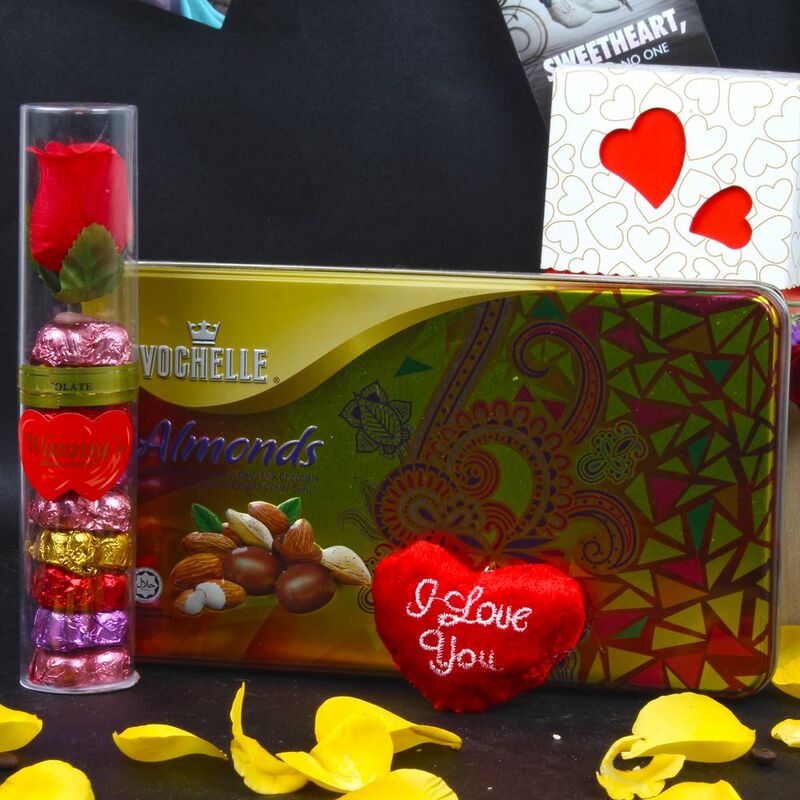 Here we present you a sweet chocolate combo which comprises with Wimmy Heart Shape Chocolate and Vochelle Almonds Chocolate Box. 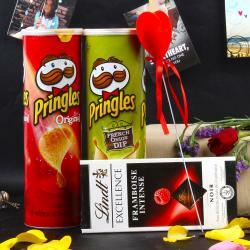 If your lover loves the chocolate then he or she appreciates it. 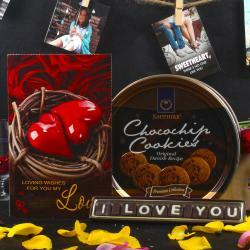 This hamper includes mini soft heart with i love you tagline. 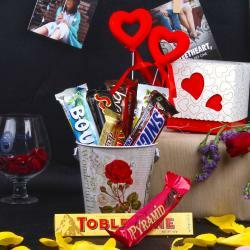 This gift will bring sweetness to your life and relationship will make it strong and best for giving on Valentine Day. So go ahead book your order now. 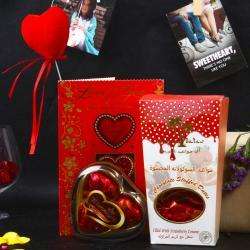 Product Includes: Wimmy Heart Shape Chocolate (Weight: 90 Gms), Vochelle Almonds Chocolate (Weight: 180 Gms) along with I Love You Heart.